Thoughts, Opinions, Recipes, and Stories from a farmer’s. I’ve been MIA from here for a while, so I thought I’d welcome myself back with a little humorous story. During lambing season everyone is sleep deprived, grumpy, cold probably, did I mention tired? The closer I get, the more it sounds less like birth being given and more like the barn trying to implode on itself. I open the door to a scene that is best described as a bar(n) room brawl. 11 heavily pregnant ewes beating the ever living crap out of each other. I rub my eyes trying to wake myself up, because surely, SURELY this is a dream. But alas, I’m not dreaming. The closest Scenario I can come up with is this- they were all laying around gossiping about whatever sheep nonsense they gossip about at 2:00 am when Stephanie the sheep casually mentions how dearly she misses Dorset Don and the grand few weeks they had together, which fires Patricia up, because SHE and Dorset Don also had a grand time that EXACT SAME few weeks. How dare these hussies be messing with HER man. Now the old gals, they’ve been around the block a time or two and know the drill. They all share the same few men once a year. So they watch on in amusement at Patricia and Stephanie beat the hell out of each other. Well things start getting out of hand and one ewe hops up and in an attempt to get out of the way of the original brawl, steps on Francis, who pretty much already hates everyone and everything… and so would begin a chain of events. Now all but 2 ewes are fighting. When all of a sudden that glutton Gertrude who’s passed out in the corner (presumably grain drunk) the entire time wakes up, sees the action and wants to join. She comes barreling through the crowd right into peacekeeper Pam. This light’s Pam’s fire and she’s out to shank every black headed, black footed, gnarly, heavily impregnated fluffball in the building. Literal fire comes from her nostrils as she takes aim for any soul who dare come near her. The two in the lambing room can only hear the commotion, their pawing the fence and chanting “fight! Fight! Fight! While secretly thankful they’re in those tiny lambing crates one more night. Enter me. Standing there in amazement. Praying to the Lord above this is not an omen for the rest of my day (by the way, it was, but that’s a story for another day) and trying to develop a plan to stop this madness I have walked in on. After I separate everyone into 4 pens, I trudge back to the house still halfway thinking my real alarm is going to go off and I’m going to come back out to a completely normal, quiet, sleeping barn of ewes. While I’m not sure what caused those girls to go into such a frenzy, I did walk into a barn full of 11 angry ewes… and that was just the beginning of my Saturday morning. I’ve never been so happy for a Monday in all my life. God has a funny way of wrecking plans in the most beautiful way, doesn’t he? A year and a half ago, if you had told me I would be a mom of 2 boys today I’d have laughed in your face (and probably told you to F off, honestly) After MONTHS of crying and freaking out because this was not part of the plan I had specifically lined out in my head, here I am- a mama of a 2 year old and a 5 month old- and I have no idea how I ever lived without my second. He’s honestly the happiest baby I’ve ever seen- even his “grumpy days” are most babies’ good days. He’s the perfect image of joy. If you had told me 5 days ago that I would be packing up my house and getting ready to move I would have laughed at you. We have been talking for a couple years about getting ready to build on the property we currently own. We had really starting moving forward with plans in the past couple months. We’ve spent so much time fixing up the property that we’re on currently. (It still needs TONS of work, but its a far cry from what it was when we started.) Thursday evening, those plans all changed- and I couldn’t be more excited! Thursday evening a house on a property that we have admired for years came up for sale. It’s everything we want in a property. The house is cozy, cute, and sturdy. The shop is amazing, there is a barn with enough corrals to work our cattle in, a pond, garage, she-shed (Come on, don’t tell me that’s not worth being pumped about!) acreage, and only a couple miles outside of the town we spend probably 50% of our time in, in the school district we have always been set that we want our kids to go to eventually. Friday afternoon we went and looked at the place and by Friday evening we had put a bid in and by later that evening, we had already sold the home we are currently living in. I don’t say this often- and in fact, after stress and grief from my last few months, I found myself really flailing and struggling with where I stood with my beliefs, the recent HUGE growth in our custom ag business, this house? All of it? It’s a God thing- It has to be. I’d be lying if I said I hadn’t been a bit stressed- a struggling a bit with letting go of all of the visions I had for our current property. Though we still own the land surrounding our house, I’m still feeling sentimental about leaving the property that we started our life out on- the property that we took from an abandoned, and overgrown place into a home. fortunately, the excitement is far outweighing the stress of the situation. I can’t wait to share our new adventures! As my last post was about harvest- what better thing to follow up than with an “in the field meal” recipe? If your crew is anything like mine- handheld, easy to eat while still being able to drive equipment- and NOT a plain old ham and cheese sandwich is ideal. (tall order, huh?) I’ve had to get kind of creative with some of the meals I take. I use the same bread dough recipe that is used in my strawberry sweetrolls (Stick around and you will see I use this recipe for basically everything.) but I’ll go ahead and give it again. add flour one cup at a time up to 4 cups. Dough should be tacky, but not sticking to the edge. add 1/4 cup flour until you reach the consistency you want. Move dough from mixing bowl to a large greased and lightly floured bowl and let rise for 1 hour. Brown the hamburger with your seasonings, add pepperonis, tomato paste spaghetti sauce seasonings and water. Cover and let simmer 5-10 minutes. …and I forgot to take a picture of the cooked product. I’m blaming pregnancy brain. Regardless of who holds the office of the presidency- he or she deserves respect. I’m not saying you have to agree with all of their policies or clap and cheer every time he opens his mouth to speak. No, I’m saying that be it Donald Trump, Hillary Clinton, Barack Obama, or Tommy-Joe from down the street- we, as Americans, should have the decency to show basic human respect. To defend our causes relentlessly- but in a way that understands that not everyone in the world has the same opinions or holds the same causes as dearly as we- and that includes the President of the United States. Defend your causes, but do so with the understanding that the person in the office of the presidency has taken on the most difficult job in our nation. Not only are they responsible for the social and economic well-being within the borders of the U.S., but they are responsible for diplomatic relations with every other country in the world. The president has never been a president before- he or she has never held such an important role, regardless of whether they have been in politics previously or not. Defend your causes, but do so respectfully and with understanding. I will be the first person to admit- “President Trump” was not exactly the outcome I was hoping for in this last election cycle. (Just to clear the record, President Clinton was pretty bottom of the barrel for me.) But President Trump is who we got. He’s loud, he’s rude, he can be vulgar, he’s certainly not politically correct, he could be more careful about what he’s putting on social media- with all of those, I agree; but I believe the man is trying. He’s honestly trying to make good on the promises he made on the campaign trail. He’s trying to find a way to fit into a world of proper politics instead of his Hollywood lifestyle. Unfortunately our media and career politicians on either side of the aisle don’t want to give him a chance. Instead of uniting and using their national platforms to spread messages of hope and unity, our politicians and media are so focused on proving who’s right or wrong- so focused on getting a one-up on their oppositions- that they are causing hysteria on both sides of the political spectrum. It’s wrong. It’s wrong on so many levels. Are we not all Americans? Should we not be standing united as one? What difference does it make who your neighbor voted for? The mass media as well as national and local politicians should be absolutely ashamed of themselves for, directly or indirectly- depending on who you talk to, causing this mess, this dysfunction, this complete rift between the American people. And to be honest- we, the American people should be ashamed of ourselves for letting such a small group of people influence our relationships and sense of “togetherness” the way they have. We know better. Deep down, I think we all want better. We deserve better. Our children deserve better. It’s not about being democrat or republican or anything in between… It’s about being human and showing respect, love, and tolerance for our neighbors, families, and ourselves. First and foremost we are children of God, then we are husbands/wives/parents/grandparents/children/friends the list is endless… who we voted for the last election cycle should be the least of what makes up our identities. We are all humans. We are all Americans. Let’s act like it. Author Amber DietrickPosted on June 20, 2017 Categories It's my life, Small TalkTags America, American, causes, community, conservative, current events, democrat, division, dysfunction, future, hope, humanity, humans, issues, journalist, left, liberal, local news, love, media, national news, neighbors, news, political, politicians, politics, present, President, rants, republican, respect, right, rural life, rural life fairytale, tolerance, Trump, United States, United States of America, unity, USA, wrongLeave a comment on Right, Left, or American? So, as a relatively new mother I find myself noticing more and more Facebook posts, blogs, Tweets, Pins, etc on “fit pregnancy” or “How to Loose the Baby Weight” “How to Have A Healthy Pregnancy” “Beach Body After Baby” and the list could go on. Absolutely nothing is wrong with any of those- But I’m here to tell you, don’t stress, it is okay! It’s okay if you don’t do crossfit, run 15 miles a day, and lift weights while you’re pregnant… or even if you’re not pregnant, honestly. While I would suggest not completely nixing physical activity- you don’t have to force yourself into some crap that you hate every single day because you don’t want to become a whale. You don’t. Find something you enjoy (zumba, riding a bike, yoga, etc..) clear it with your doctor and go for it. I’m not saying you can’t be a fitness junky while you’re pregnant either. Some people truly do enjoy torturing themselves for 2 hours at 5:00 every single morning- power to you. Just don’t ever forget- it is okay to not fit the mold, to not follow the trends, do what feels good to you. Let yourself have that piece of cake! When I first found out I was pregnant I had the worst fear of becoming “that girl” who “pregnancy did not treat well.” I read blog after blog and read tips on top of tips on top of tips on how to eat while pregnant. Articles like “How to Gain only 10 or less Pounds During Pregnancy” and other ridiculous articles similar. I forced myself to ignore my hunger and pretty much survive off of lettuce and water. Guess what. I felt like crap and on top of all of that… after two glucose testing appointments- because there’s no way that first one was right, I still was gestational diabetic. It didn’t matter that I had eaten the most healthy I ever have in my life this past 4 months. It didn’t matter that I was on the lower end of “normal” gestational weight gain. It didn’t matter. And you want to know what my doctor told me? She said “You have got to stop worry about this. Don’t deprive yourself! If you want that chocolate cupcake have one- just one, but allow yourself to have it. Eat your protein and veggies, drink your water, but allow yourself your cravings. You will feel so much better.” She was right. Be healthy- don’t gorge yourself on crap. But allow yourself to indulge. Moderation is key. After we had that talk I let go a little, I allowed myself to eat until I was satisfied, I allowed myself a cup of coffee and a sweet tea here and there- and I felt- and feel so much better. Who cares what “they” think. Seriously. Who. Freaking. Cares? Whether you only gained 7 pounds and had the most fit pregnancy anyone has ever had and bounced back to your post pregnancy body almost instantly or if you gained 50 pounds and are still trying to shed the pounds 3 years later. Who. Cares. As long as you are healthy (key word here) and happy, what everyone else thinks is irrelevant. If the people who are important in your life won’t accept you either way- it’s time to evaluate the people you are surrounding yourself with and weed some out. Loving yourself is a daily decision. The ticket to loving yourself and your body is a decision you make every single day. If we’re being honest, more days than not I struggle to love myself. I struggle to love the way I look. I struggle to believe I am good enough for my husband or my child. It’s a struggle for me to ignore the little extra around my mid-section or the stretch marks on my thighs. It is hard not to doubt yourself- believe me, I know. But as long as you are either working to be better or doing the best you absolutely can do with the situation you are given. Wake up, look in the mirror, find that one positive thing about yourself that you just love- be it your eyes, hair, how freaking awesome you are at doing makeup- whatever it is. Find it. Focus on it. Let that confidence radiate through you all day. Decide to be happy. Decided to love yourself- and love the process, whatever that may be. You are beautiful. You are enough…. and eat the damn cake. This first 5 months of 2017 has taken its toll on the 5-State area surrounding the Oklahoma Panhandle. With a devastating ice storm hitting right in the thick of calving season. “Dark Monday” and it’s 1 million (+ or -) acres burned across the Texas and Oklahoma panhandles, Southwestern Kansas, and Eastern New Mexico and Colorado- which destroyed thousands of acres of grazing lands, scorched hundreds of miles of fence, multiple homes, stole 6 human’s lives and burned thousands of head of cattle and wildlife alive. A crippling April 30th blizzard which left hundreds more cattle dead in Eastern Colorado, Western Kansas and the Oklahoma Panhandle. The most recent a hail storm which carried with it baseball-softball sized hail that tore through the Oklahoma Panhandle and Northwestern Oklahoma killing calves, destroying crops which were only a few weeks shy of being harvested, as well as countless homes, vehicles, and other buildings. But you won’t hear much about this on the news. The recovery process is still taking place- and will continue to take place for months. 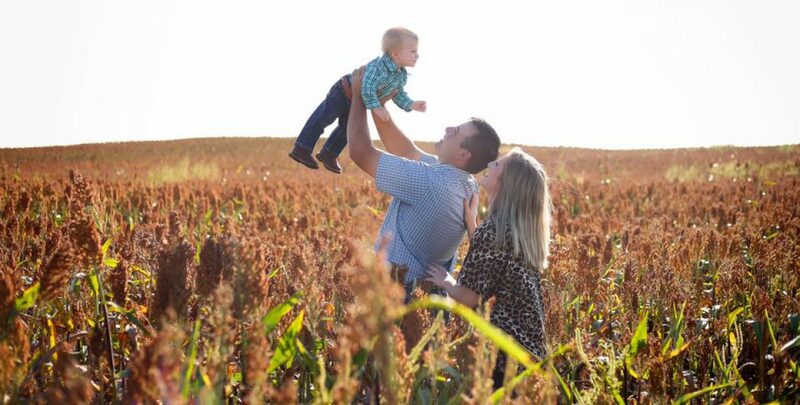 Our hearts are so full for the help and love we have received from so many agriculturist across the nation. But I would be lying if I said that each day isn’t still a challenge to keep our heads up. It’s hard to watch your life’s work go up in smoke-literally. Or watch the wheat that you have tended to and prayed would come out of damages caused by ice and and snow coupled with 60 mph winds survive just to be pounded into the ground by hail just before harvest. It’s so hard not knowing how you are going to make the equipment payment. It’s hard to have to walk through your pastures and see and even have to put down suffering animals who couldn’t escape the flames, or to pull up to your pasture ground to find your cows and calves had looked for shelter in a draw which is now covered in snow- and those mamas and babies have all suffocated- or the babies who couldn’t weather the baseball sized hail who had been literally beat to death in the night. It’s hard. It’s heartbreaking- loss of profits aside. So today, while you go about your life- while you go to your 8-5 job with a guaranteed paycheck and little risk to your livelihood, when you go to the grocery store and notice the price of food slightly higher, remember, the places where your food comes from has been ravaged this past year. There will be a shortage- not in the “oh my gosh we can’t feed everyone and we have to ration” sense, but as compared to years past. The ranchers and farmers will struggle harder than usual to make their payments this year. We are strong, we will rebuild, we will continue to raise our cattle, we will continue to plant our crops. We will wake up every day and continue to go to work- just like you. But our hearts and our land will take some time to heal. Remember us in your day to day activities too. So, I’m the master at “winging it” when it comes to cooking. 9 out of 10 times I have no idea what I’m going to cook- I’m the worst meal planner. That being said- I almost always have a fairly nutritious and edible meal on the table every night. I also hate grocery shopping. I hate it. Which means, a lot of times I have a lot of varying ingredients that may or may not go together, usually they don’t. I had set a pork shoulder out yesterday morning, not fully knowing what I was going to do with it, but figured I’d wing it when I got home. Ya’ll this was one of my best improvised meals in a long time! The Pork Shoulder was thin sliced, so I seasoned in with Serendipity brand seasoned salt, cumin, and pepper then browned it just until there was a nice sear on the outside. Then pulled it out of the pan and let rest for a few minutes (mainly because my toddler was screaming for a drink, but it sounds better to say it was intentional.) I then sliced the pork into thin strips and put in a baking dish with a touch of olive oil and about 1/2 cup of Y’et Yet Chilli blend (see photo) covered and baked on 350 for 30 minutes. The pork shoulder was so tender and juicy! While that was baking I sauteed sweet peppers in olive oil with red pepper flakes, minced onion, and minced garlic, warmed up a can of pinto beans and some rice I had left over from the previous night’s meal. I also chopped some lettuce and grated some cheese. Remove pork from skillet and slice into thin strips (think fajita meat strips) and place in an oven-safe dish with the olive oil and chilli mix. cover and bake for 30 minutes at 350 degrees. pour olive oil, red pepper flakes, minced garlic, and minced onions into pan and heat up just a little, add sweet peppers and saute until peppers are soft. Serve over lettuce with pinto beans, (black beans would be good too) rice and cheese, add sour cream and salsa as desired. Ever Amber: A Rural Life Fairytale Create a free website or blog at WordPress.com.